You may think the media is full of the argy-bargy of politics, full to saturation point. There is, however, a level of politics we rarely hear about. You may not have noticed, but it raised its ugly head at the time of the budget earlier this month. One sign was the anger, almost outrage, of the big banks when, on budget night, Scott Morrison surprised them by announcing a small new tax on them. Why weren't we consulted about this, they shouted. Just a few days earlier, Education Minister Simon Birmingham surprised us by announcing the government's conversion to needs-based federal grants to schools, a la St David of Gonski. The Catholic school authorities were deeply saddened. Birmingham's plan was to gradually unwind decades of special sectarian deals, the most recent of which had been made with the previous Labor government. Why in Heaven's Name weren't we consulted before this unholy decision was made public, they cried. When I heard both interest groups making their loud complaints I reacted the same way. Who the hell do these guys think they are? You and I don't expect to be consulted before governments announce their policy decisions, so what gives these people the right to special treatment? Well, I'll tell you: it's because that's the way they're used to being treated. Governments are considering making changes affecting a powerful and vocal interest group, so they – and more particularly, the top bureaucrats in the relevant government department – engage in private discussions with industry leaders and lobbyists. If Birmingham decided on a new school funding arrangement without consulting the most-affected interest groups, it must have been because he knew they'd move heaven and earth in their efforts to ensure it didn't happen. And, come to think of it, it's not all that unusual for new tax measures to be announced in the budget without prior consultation. You could justify this as necessary to ensure people aren't able to profit from inside information. But I suspect it happens also because Treasury likes it that way. In the annual preparation for the budget, which goes on for months, Treasury ensures decisions about tax changes are made just days before budget night. That way, there's no time to consult and no time for ministers to be dissuaded from acting. So the consultation happens after the move has been announced, when the government would lose face if it backed down too far. Indeed, major tax and policy changes are invariably put into an industry consultation phase before being legislated. You can justify this practice by saying the world's become a complicated place and that the affected industry will always have an understanding of the practicalities of implementation that's superior to the bureaucrats'. But there's more to it. I think industry representatives are routinely consulted on policy matters affecting them because, in practice, elected governments have come to share their power with a multitude of lobby groups. You and I don't see the huge extent of contact that occurs between peak industry groups, consultant lobbyists and visiting executives, on one hand, and ministers, parliamentarians and bureaucrats on the other. Indeed, we non-Canberrans don't realise the extent to which lobbying has become that city's second-biggest industry. That's particularly so if you include Canberra's small army of economic consultants, who earn their living by concocting "independent" modelling which, purely by chance, always seems to prove their clients' case. And that's not counting the big four accounting firms which, when they're not doing "independent" modelling for the small fee, give extensive – and no doubt expensive – consulting advice on policy questions to government departments. Why do they need such advice? Why is policy expertise moving from the public service to outside consultants? Because the yearly imposition of "efficiency dividends" on government departments means they keep getting rid of their policy experts. The words "false economy" spring to mind. For an idea of just how big the lobbying industry has become, consider this. Buried in the budget was an announcement that the government had accepted the recommendations of a review of the financial system's arrangements for resolving external disputes. Some lobby groups were unhappy with this decision, so last week they issued a press release saying so. It was issued in the name of six industry groups: the Mortgage and Finance Association of Australia, the Customer Owned Banking Association, the Australian Collectors & Debt Buyers Association, the Association of Securities and Derivatives Advisers of Australia, the Australian Timeshare and Holiday Ownership Council, and the Association of Independently Owned Financial Professionals (each with their own logo). But if all the industry groups and other lobbyists did was issue press releases there would be little to worry about. Lobbying in public is just the tip of the iceberg. What matters is all the private contact with bureaucrats, ministers and politicians, particularly crossbench senators, we know nothing about. Late last year I wrote prematurely about an eye-opening book by Dr Cameron Murray and Professor Paul Frijters, Game of Mates, which has finally been published. The book reminds us that one way moneyed interests gain influence in the halls of power is by rewarding co-operative senior bureaucrats and politicians with post-retirement patronage. You too could be gamekeeper-turned-lobbyist. Sorry, but the small funding cuts imposed on the universities in the budget don't rouse any sympathy from me. In an ideal world we'd be investing more in our universities, but our world is far from ideal. And so are our unis. They're inefficient bureaucracies, with bloated administrations and over-paid vice chancellors. To hear them talk, you'd think unis were the fount of all economic virtue. According to Sydney University's Michael Spence, the budget was "an opportunity missed, because the government's done nothing about the significant cost of research and, of course, university research is fundamental to the innovation economy about which the government is so enthusiastic". Sorry, prof, but the electorate's too well-educated to swallow such spin. The unis contribute to innovation, but it comes from other sources as well, and the unis' contribution should be better than it is without extra funding. It's true our unis are obsessed by research, but any innovation this leads to is almost accidental. The research the unis care about is papers published in prestigious foreign journals, which they see as the path to what they're really striving for: a higher ranking on the various international league tables of universities. Education Minister Simon Birmingham boasts that, on one table, six of our 43 unis are in the top 100, with nearly half in the top 300. The pollies should stop doing this. It just encourages our "sandstone" unis – the self-dubbed Group of Eight – in their crazy, self-absorbed race. Had Birmingham's predecessor succeeded in deregulating fees and let the sandstones exploit their monopoly pricing power, they would have delighted in overcharging their students and increasing students' cross-subsidy of the academics' research. All of us should strive for excellence in our work, but when you start trying to force the pace with league tables and the dreaded KPIs – key performance indicators – you lose the plot. You shift the rewards from intrinsic to extrinsic, and almost as much effort goes into trying to game the indicators of excellence as being excellent. The big rewards go to those who excel at appearing excellent. Our big unis are so obsessed by research that academics' promotion is determined almost solely by how many papers you've had published and how prestigious were the journals you got into. Plus how much in research grants you've brought to the uni's coffers. Apart from the time they spend thinking of ways to turn the same bit of research into more than one paper, our sandstone academics seem to spend more time applying for research grants than doing research. Then there's the cultural cringe. The sandstone unis are filling their upper positions with sunshine-seeking Poms, Canadians and the odd eccentric Yank, in the belief they'll do better than the locals at getting published in prestigious international journals. Our academic economists have even conned the federal government into spending taxpayers' money in ways that penalises those economists foolish enough to want to research the Australian economy. That's because American journals won't publish articles about a small and boring country like ours, but our own journals don't rank in the unis' eternal quest for a higher international ranking. Notice anything missing? Ah yes, all those students hanging around universities. The unsatisfactory state of our unis is partly the product of our federal politicians' – Labor and Coalition – decades-long project to quietly and progressively privatise our universities via the backdoor. Like so much misconceived micro-economic reform, this project hasn't worked well. Put a decades-long squeeze on unis' government funding and what happens? The unis intensify their obsession with research status-seeking and do it by exploiting their market power over students – while building ever larger bureaucracies. There are some excellent teachers in universities, but they're the exception. The unis pretend to value good teachers – and award tin medals to prove it – but, in truth, there are no promotions for being a good teacher. Students are seen as a necessary evil, needed because the public thinks teaching their kids is the main reason for continuing to feed academics. Since Julia Gillard's spendthrift decision to remove the limits on how many uni places the government is prepared to fund, the unis have slashed their entrance requirements so as to rip as much money off the feds as possible. Are they producing more would-be teachers or journalists or candlestick makers than the economy needs? Who cares? All the unis know is that cramming more students into lecture theatres yields economies of scale that can be diverted to pay for more research – and pay for some part-time casual to do your teaching for you. Before the budget Scott Morrison promised us "good debt" and "bad debt". What we actually got was less radical but more sensible. The government has come under increasing pressure from the Reserve Bank to draw a clear distinction between its borrowing to cover "recurrent" spending (on day-to-day operations) and borrowing to cover investment in capital works ("infrastructure"). It was wrong to lump them together and claim the combined deficit constituted the government "living beyond its means", as the Coalition often has. Government borrowing to pay for infrastructure that will deliver a flow of services to the community for many decades to come is not in any way irresponsible. The Reserve's reason for pressing the government was its desire for "fiscal policy" (the budget) to give its "monetary policy" (low interest rates) more help trying to stimulate faster economic growth. Make the recurrent/capital distinction and the government can move to repair its budget and avoid unjustified borrowing, while still investing in new infrastructure projects that both add to demand in the short term, and later – provided the projects are well chosen – add to the economy's potential to supply more goods and services by improving our productivity. In this budget Malcolm Turnbull finally capitulated to this pressure, overturning decades of Treasury dogma. Sort of. Treasury's fought a rear-guard action, retaining the old world while seeming to move to the new. In the process it's been obliged to make clear all the budgetary cupboards in which it hides the government's spending on capital works. In so doing it has revealed that the line between budget accounting and creative accounting is thin. Let's start with what in accounting passes as theory. There are two main ways you can measure the financial performance of an "entity" such as a business or a government: the rough-and-ready "cash" basis, or the more careful "accrual" basis. The private sector has been using accrual accounting for more than a century, whereas Australia's public sector moved from cash to accrual only in 1999, after the United Nations Statistical Commission shifted the national accounts framework to an accrual basis in 1993 and the Australian Bureau of Statistics complied. The cash basis measures the government's financial performance merely by comparing the cash it received during a period – usually a financial year – with the cash it paid out during the period. By contrast, the accrual basis puts much effort into ensuring the incomings and outgoing are properly "matched", so they are allocated to the accounting period to which they rightly apply. If, say, on the last day of the year you paid for an insurance policy to cover you for the following year, an adjustment would be made to shift that cost to the following year's accounts. When the feds moved their accounts and budget onto an accrual basis at the turn of this century, however, Treasury declined to play ball. It stuck with cash, making the debatable argument that recognising government transactions according to when the cash changed hands gives a better indication of those transactions' effect on the macro economy. So, to this day, the budget papers are written in two different financial languages. The bit prepared by Treasury is written in cash, whereas the much bigger bit prepared by the Finance department is written in accrual – as it's supposed to be. Get this: our bilingual budget means the budget papers offer us four different measures of the budget bottom line to pick from. There's the "underlying cash" balance (the one Treasury wants us to focus on), the "headline cash" balance (please don't ask questions about this one), the "fiscal" balance (the close accrual equivalent of underlying cash) and, buried up the back, the accrual-based "net operating balance". The news is that Treasury is sticking with underlying cash as "the primary fiscal aggregate" – the one it will make sure we focus on – but will ditch the fiscal balance (always just a face-saver cooked up by Treasury) and replace it with – give "increased prominence to" – the net operating balance, henceforth known as the NOB. Bringing the NOB from the back up to the front will "assist in distinguishing between recurrent and capital spending" because, in accountingspeak​, "operating" and "recurrent" mean the same. Point is, the biggest practical difference between cash and accrual is their treatment of spending on capital works. In cash, it's lumped in with recurrent spending, whereas in accrual it's not. Instead, accrual includes as a recurrent or operating expense an estimate of a year's worth of "depreciation" (wear and tear) of the feds' stock of physical capital – as it should if you believe in "matching" (which Treasury doesn't). With this unprecedented casting of a spotlight on its accounting practices, Treasury has had to admit that the NOB actually overstates the recurrent balance because it includes as an expense the feds' capital grants to the states to help cover their spending on infrastructure. Correcting for this reduces the coming financial year's NOB from a deficit of almost $20 billion to one of just over $7 billion (just 0.4 per cent of GDP). So we're already close to a balanced recurrent budget and should be there in 2018-19, after which (if Treasury's economic forecasts prove reliable) we'll be up to a recurrent surplus of $25 billion by 2020-21. Turns out that, from the time the budget dropped into deficit in 2008-09 until the year just ending, focusing on the underlying cash deficit rather than the corrected NOB has exaggerated the extent of our budget repair problem by a cumulative $150 billion. So how much have the feds been spending on infrastructure? Long story. Watch this space. I have my heroes among leading American economists and psychologists, some of whom I know. One I don't is Alan Blinder. But when he wrote a book called Hard Heads, Soft Hearts, I knew I'd found my guiding star as an economics writer. There are plenty of lovely souls whose heart bleeds freely for all manner of people who want us to believe they're being treated badly. But hanging around with economists has left me imbued with the harsh reality of opportunity cost, my version of which says you can have anything you want, but you can't have everything you want. So be careful deciding. The hard-headed truth is, feeling sorry for almost everyone is little different from feeling sorry for no one. I have only so much compassion to go around. So, sorry, but among all the people claiming to have been hard done by in this month's budget, I don't have much sympathy to spare for the university students complaining about the increase in their debts. By contrast, I have much sympathy for all those unemployed people hoping and searching for jobs that don't exist – unless, of course, the government's own figures for job vacancies are grossly understated. Had industrial fate not intervened to prevent me attending my 43rd successive budget lock-up, I planned to wear my jumbo size JOB HUNTER NOT DOLE BLUDGER T-shirt, put up to it by friends at the admirable Brotherhood of St Laurence. How prescient that would have been. The budget turned out to include an attempt to traduce the reputation of all job hunters by launching the government's umpteenth Crackdown on the Crackdown on all those "leaners" who lounge about taking drugs when they should be out pounding the pavement. Did you know that some people are being given the dole before any savings they have are completely exhausted? It's an outrage on us upright citizens, groaning under the weight of massive taxation. Isn't Centrelink bright enough to understand that forcing the jobless to go cap in hand to the Salvos whenever some large and unexpected expense occurs is part of their punishment? Not content with cracking down on the unemployed, this budget cracks down on those lazy loafers at Centrelink. Do you realise there are days that pass without people on benefits being harassed in some way? Do you realise that older people, some just a few years from pension age, aren't hassled nearly as much as young people are? It's wrong, it's discriminatory, and the ironically named Christian Porter and his hardworking sidekick Alan Tudge are just the punishers and straighteners we can trust to stamp it out. I don't understand those two. Do they enjoy beating up the poor, or is it a hateful job they must do to keep their jobs in the ministry, to gratify all those pathetic voters desperate to feel morally superior to someone? Nor do I get Malcolm Turnbull. He produces a surprisingly good budget intended to convince us he's not the pale imitation of Tony Abbott we thought he'd become, that the Coalition is committed to fairness after all, but can't resist adding the most lurid attempt to stigmatise anyone of workforce age who can't find a job. Is Turnbull that much in fear of losing votes to the Redheaded One? Malcolm, you're a rich man, you don't have to sink so low. Back to the revolting uni students. You'd never know it from their cries of woe, but Education Minister Simon Birmingham has thrashed them with a pillow. Their tuition fees – and hence their debts to the government - are being increased by just 7.5 per cent on top of indexation to consumer prices, spread over three years. When fully implemented, this will increase total fees for a four-year degree by between $2000 and $3600 – with that range roughly aligned with the likely earning-power of the particular degree. We keep being told that the level of income at which people with debts begin having to start repaying them has been lowered from $52,000 a year to $42,000. What we're rarely told is that the bottom rate of repayment has been lowered from 4 per cent of their income to 1 per cent. Combining the two changes, the time it takes to repay loans will increase by less than a year. Uni students come mainly from the comfortable middle class and go to uni to get a certificate that pretty much guarantees them a well-paying job, including a much lower risk of becoming unemployed or staying jobless for long. It's true the wider public benefits from the money governments spend educating people to graduate level, but equally true that the personal benefits to the particular graduate are about as great. On average, Birmingham's changes will increase the graduate's share of the cost of their degree from 42 per cent to 46 per cent – and, thanks to the unchanged design of the loan scheme, do so without discouraging students from poor families from bettering themselves. For students of the politics of economics – my special subject – this clothes-pinching budget has been a feast. Oh no, it's "Labor-lite". Shocking! Actually, it's a budget that ticks all the boxes for Malcolm Turnbull and, by extension, his parliamentary followers – something their silent acquiescence suggests they realise. You don't need brains to see a Labor-lite budget. What's harder is to see that it's not as out of character as some suppose. True, the song Turnbull and Scott Morrison are singing now is very different to the one they sang in last year's budget. But the beginning of wisdom is to see that, these days, what each side of politics offers is an ever-changing mixture of ideology and pragmatism. The bedrock is pragmatism: what must I say or do to win the next election? Pragmatism rules because of the way politics has been professionalised, becoming a career ladder you climb from newly graduated ministerial staffer to (you hope) prime minister. But ideology has its uses. Mainly, to gratify the prejudices of the party base and enhance your supporters' loyalty to the tribe. It gives then a warm feeling. It also helps to jolly along union or business donors. Then there's the third, usually unmentioned factor: Consistency, no need for. When you're constantly changing the mix, increasing or decreasing the pragmatism component, you can't be too worried about getting caught changing your story from what you said before. Since the responsibilities of office change little from year to year – similarly, the advice of the econocrats – the two sides' rhetoric while in government is more similar than when they're in opposition. Everyone changes their tune when they come to power. As for the boxes this year's budget ticks for Turnbull, the first is it shows him taking firm steps to get the trajectories of budget spending and taxing heading in a better direction, giving the budget substance at a time when its forecasts and projections would soon be exposed as optimistic, even fiddled. It shows Turnbull having the sense to cast off the wishful ideology foisted on him by the economically uninterested Tony Abbott (egged on by the Business Council's lesser geniuses, to whom he foolishly outsourced the commission of audit) that, despite eight income tax cuts in a row, only cuts in spending were needed to get the budget shooting back to surplus. By doing so, Turnbull was accepting the budgeteers' orthodoxy that budget repair always involves tax increases as well as spending cuts, and joining ranks of all previous successful Liberal prime ministers, starting with John Howard and his goods and services tax. Nor is Turnbull the first PM to succeed partly by pinching the best of their opponents' policies. Second box: it shows Turnbull coping with the bills left by Labor – the National Disability Insurance Scheme, schools funding and (eternally) Medicare – in ways that are politically shrewd and not terribly distorting economically. Solving the NDIS cost problem by linking it to a barely perceptible increase in the Medicare levy in two years' time. Switching to a cheaper version of Gonski-style needs-based school funding. Imposing a new $1.5-billion-a-year indirect tax on the hated big banks – for whom he's been leaking votes by running cover against a royal commission – to help reduce the structural budget deficit. Third box: this budget neutralises two of the greatest areas of voters' concern, where Labor is permanently perceived by them to have the comparative advantage: health and education. And this at a time when, largely thanks to factors beyond their control, we're not travelling too well in the areas permanently perceived by punters to be the Libs' comparative advantage: managing the budget and managing the economy. Fourth box: this budget takes a Liberal party drifting ever-further to the hard right, and yanks it back to the sensible centre, where elections are won. Fifth box: this budget shows Turnbull as leader rather than follower of his ever-more reality-detached backbench. It at last gives voters a glimpse of the fair-dinkum Malcolm – the one saying what we all know he really believes – and whom many people whose vote is up for grabs were hoping and expecting to be led by after the unlamented demise of Abbott. Last box: Turnbull's return to the centre has at last wrong-footed the formerly sure-footed Bill Shorten, exposing his pretence of putting the public interest ahead of partisan advantage – if we can't have our version of needs-based school funding, let's block the Libs' version – and prompting him to shift to left of centre, with his plans to increase taxes on high income-earners. In education economics, the hot question is whether Malcolm Turnbull's Gonski 2.0 plan for school funding yields a better and more cost-effective combination of fairness and economic efficiency than Labor's Gonski 1. Since both sides of politics seek to sanctify their funding approach by labelling it with the sacred name of David Gonski, the businessman who chaired the 2011 government inquiry into school funding, remember both sides' plans fall well short of what he recommended. He started by recognising that, at least since the Whitlam days, government funding of the nation's schools had no rational basis. Funds came from both federal and state governments, and were spent on three differing sectors – government, Catholic "systemic" and independent schools. This meant funding differed by state, and by sectarian status. Politicians on both sides and at both levels did special deals aimed at currying favour with Catholic voters. Many governments favoured non-government over government schools, in the name of giving parents greater "choice" (provided they could afford private school fees). In other English-speaking countries, religious schools get no special treatment. If they want government funding, they play by government rules. If that's not acceptable, they can do their own thing without government funding. Gonski's key proposal was to allocate government funding on the sole basis of the needs of particular students, doing so in a way that was "sector blind". An independent "national schools resourcing body" should be established to set a needs-based "school resourcing standard" for each of Australia's 9500 schools. The standard would start with a uniform basic amount per student, to which loadings would be added to cover their students' disadvantage in the categories of low socioeconomic status, English language proficiency, school size and location, and indigeneity. In this way, the allocation of funds would be determined from the bottom up, not from the top down in negotiations with states and sectors. Julia Gillard required Gonski to reallocate funding in a way that ensured "no school would lose a dollar". This necessitated him proposing that total spending be increased, creating the impression he thought schools needed a lot more spent on them. The Gillard government rejected the proposal for an independent body to oversee the reallocation and came up with its own figures for the school resourcing standard. Labor also stuck with the top-down approach, going around the states and sectors trying to persuade them to sign up before the 2013 election. As a result, some states and sectors did much better deals than others, which they now resent Turnbull trying to unwind. Labor's reallocation was to be phased in over six years, with much of the cost delayed until the last two calendar years, 2018 and 2019. Tony Abbott claimed to have accepted the plan's first four years, but reneged immediately after the election, saying the states could spend their grants however they chose. In the 2014 budget Abbott announced that, after 2017, funding for schools would simply be indexed to consumer prices, yielding a huge saving to the budget. But he couldn't persuade the Senate to amend the act implementing Labor's funding plan. Just before last year's election, Turnbull agreed to funding increases for 2018, 2019 and 2020 that were more generous than Abbott had wanted but less that Labor's plan. And now, Education Minister Simon Birmingham surprised everyone by unveiling the Coalition government's own version of needs-based funding, dubbed Gonski 2.0. It involves adjusting all schools' federal funding at different rates over 10 years so that, by 2027, all of Labor's disparities and anomalies would be removed, leaving all government schools (which are mainly funded by the states) getting 20 per cent of their school resourcing standard – up from an average of 17 per cent at present. All private schools (whose government funding comes mainly from the feds) would be getting 80 per cent of their school resourcing standard, up from an average of 77 per cent at present. Total federal funding of schools would grow from $17.5 billion this year to $30.6 billion in 2027, an increase of $2.2 billion over already-planned spending over the first four years, rising to an extra $18.6 billion over the 10 years. You see from this that Gonski 2.0 would take a lot longer than Gonski 1 to reach full needs-based funding. Like Labor's six-year plan, the Coalition's 10-year plan is heavily "back-end loaded". Of course, on Labor's calculations, a hypothetical continuation of its scheme would cost $22 billion on top of the extra the Coalition plans to spend. Much of Labor's extra spending above the Coalition comes from its built-in higher rate of annual increase in funding, relative to the Coalition's assumed average indexation rate of 3.3 per cent a year. Some of Labor's extra would go on higher grant increases for already overfunded private schools, and some on bigger pay rises for teachers. Unlike Labor, the Coalition would make small cuts in grants to 24 highly overfunded private schools, while another 350-odd somewhat overfunded private schools would get smaller increases until, in 2027, every school's federal funding was aligned with its own needs-based school resourcing standard. A big weakness in Gonski 2.0 is the way it gets federal funding sorted but ignores the eight states and territories' role in achieving needs-based funding overall. The states would merely be required to maintain the real value of their funding per student, allocated however they chose. A weakness both schemes share is that though state-based school systems (including government systems) will receive grants based on the individual needs of each of their schools, they will be left to determine the basis on which it's actually allocated to particular schools. My conclusion is that the opportunity Gonski 2.0 presents to have both sides politics accept and entrench needs-based federal funding, and an end to sectarian deals, should be grabbed with both hands. There's nothing to stop Labor, or anyone else, coming along later and fixing its weaknesses. Of the government's four goes so far, this is its best budget. For a budget aimed squarely at improving Malcolm Turnbull's ailing political fortunes, its economics is much better. At long last it completes the Coalition's 180 degree turn away from its toxic first budget of 2014. It heeds mainstream economists' advice and abandons the Coalition's misguided professed concern about a "debt and deficit crisis". It is, however, a lot stronger on principle than practice. It accepts the repeated urgings of the Reserve Bank, the International Monetary Fund and the Organisation for Economic Co-operation and Development that the government distinguish between borrowing for worthwhile infrastructure – which raises the economy's productivity – and continuing to borrow to cover recurrent deficits long after the downturn has passed. It abandons the Coalition's smaller government ideology and accepts economists' advice that all successful attempts to return the budget to surplus involve a combination of spending cuts and tax increases. In short, it's a big spending, big taxing, big borrowing budget. Smarties may call it "Labor lite" but, in truth, it contains measures Labor wouldn't have dared to take: increasing the Medicare levy, imposing a much bigger tax on the big banks, and standing up to the Catholics schools' demand to continue their special treatment compared with other private and government schools. Scott Morrison is right to say the budget is a fair and responsible path back to surplus. It better aligns government policy with the voters' wishes, does a better job of managing the economy and puts the budget on a sounder basis – but all without bringing closer the time when Morrison expects the budget to return to surplus. In truth, whether his prediction this will happen in 2020-21 proves accurate turns on economic forces beyond his ability to forecast, let alone control. Without doubt, the budget measure that will do most to increase economic efficiency – not to mention fairness – is the government's belated embrace of needs-based school funding. Getting funding right is the first step towards raising the poor academic performance of the nation's schools and narrowing the achievement gap between students from advantaged and disadvantaged families. David Gonski's new inquiry will guide us in the second step: improving what happens in the classroom. The success of Labor's "Mediscare" at last year's election has prompted the government to abandon its claim that healthcare spending is growing "unsustainably". It is phasing out its freeze on Medicare rebates to doctors and adding expensive drugs to the pharmaceutical benefits scheme, while searching out efficiencies to slow the rate at which spending is growing. The budget relies far more on tax increases than spending cuts to offset its higher spending. The main tax increases are a (delayed) 0.5 percentage point increase in the Medicare levy, a big new tax on big banks and crackdowns on the black economy and multinational tax avoiders. Little there for voters to object to, especially as the higher Medicare levy will pay for the widely supported but hugely expensive National Disability Insurance Scheme. All this is marred, however, by a list of bad measures: the Melbourne to Brisbane inland freight railway is a waste of money, the housing affordability package combines minor measures with a counterproductive superannuation saving scheme, the regional growth fund is a National Party pork barrel, it would have been fairer to continue the 2 per cent deficit levy on high income-earners, and the Medicare guarantee fund is an accounting trick. But you can't have everything – especially not from our flawed political system. This budget is much better than we have come to expect. It's the time of year when treasurers and finance ministers, asked about the content of the budget, reply with righteous indignation that we'll just have to wait, as though they've been asked to break the official secrets act, while their ministerial colleagues are busily leaking or even announcing large slabs of what's to come. Why do politicians indulge in this tiresome charade? Because they want to be sure we know about the nice bits, while delaying our knowledge of the nasty bits as long as possible. They haven't yet leaked much about what lies in store on healthcare, though what we have been told is benign. The government, which in its first budget told us healthcare spending was growing "unsustainably", is adding a lot of hugely expensive new drugs to the pharmaceutical benefits scheme. And it seems the freeze on the rates of Medicare rebates – including bulk-billing payments to doctors – is to be eased, at a cost of $500 million over several years. There's sure to be some bad news on health hidden in the budget but, after the success of Labor's scare campaign at last year's election, alleging the Coalition wanted to "privatise" Medicare, it's a safe bet it won't be too terrible. No one got a bigger scare than Malcolm Turnbull. Voters have always been strongly attached to Medicare – by which they mean not having to shell out when they go to a bulk-billing GP – and Labor was trying to reawaken voters' resentment when, in its first budget, the government proposed a GP co-payment of $7 a pop. The element of truth in Labor's scare was that, if you froze bulk-billing rebates for too long, GPs would begin to break out and start charging their own co-payments. That's the political reason the freeze is to be eased. The Turnbull government will never again make controversial changes its opponents could characterise, however wrongly, as "privatising" Medicare. Most of the things you could do to limit the growth in healthcare spending involve cutting the incomes of doctors, or at least restraining the rate at which they're growing. So, whenever governments try, the doctors resort to their own scare campaign, telling their patients – the older and more pitiable the better – the government is forcing them to charge, say, $3000 for having their cataracts fixed. Few people could afford to pay such prices – which is why, in reality, they'd never happen – but that doesn't stop old ladies taking their indignation to a slavering tabloid media or beating down the doors of their local member. But it's a great pity to have the government running scared of making changes to Medicare. There's a lot of inefficiency in our present arrangements which, if we could reduce it, would slow the rate at which the healthcare bill is growing and so ease the burden on taxpayers, without harming patients. 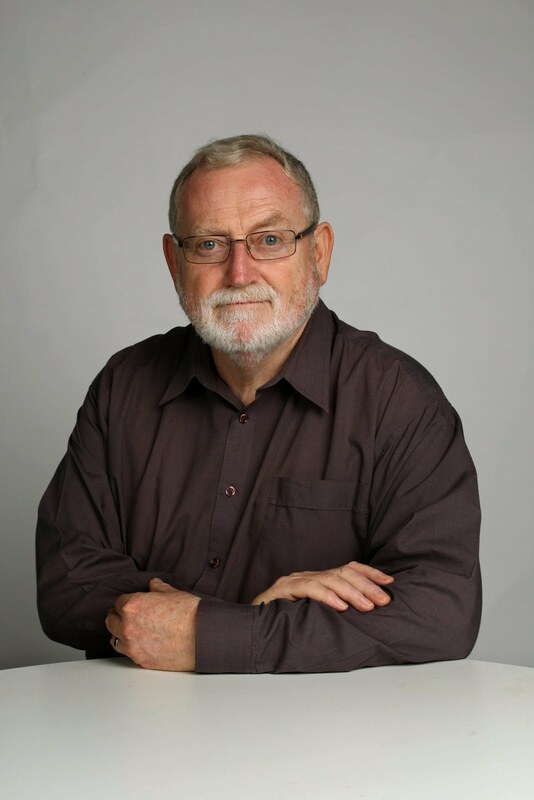 Indeed, as Dr Stephen Duckett (a real doctor, not a medico), of the Grattan Institute, argues in a new report, Building better Foundations for Primary Care, a more efficient system could give some patients better care by reducing the need for them to go into hospital. Much has changed since Medicare was first installed in the 1970s. It needs to be brought up to date without weakening its key features. One thing that's changed is the rising average age of the population, meaning that more doctor visits are about chronic (lasting) conditions – such as diabetes, asthma or heart disease – rather than acute (temporary) problems. So GPs need to spend more time helping their patients manage their chronic conditions (older patients will often have more than one), which requires longer but (we hope) fewer consultations. But, as Duckett and his colleagues explain, Medicare's present system of rebated fee-for-service, acts to discourage such better assistance to chronic sufferers. It gives GPs a financial incentive to increase the number of services provided, but also keep them short. It would be better to pay GPs a (higher) fee for successfully managing a patient's chronic condition. But that's well down the track. First things first. "Primary care" is the medicos' term for a patient's first point of contact with the healthcare system. It could be a hospital emergency ward or an "allied health service", but mainly it's GPs. Health experts have long known that the key to an efficient and effective health care system is to get primary care working well. GPs get paid a lot less than specialists, but they're probably more important to ensuring good patient care. Our primary care doesn't work well enough to be called a "system", mainly because of squabbling between federal and state governments and the absence of clear lines of responsibility. Duckett says we need a primary care agreement between the two levels of government and the primary health networks, which should be given more resources, responsibility and accountability. But first we need much more information about what happens in general practice, so sensible targets can be set for improved performance. Since almost all GPs use a computer program when seeing patients, such (de-identified) information could be supplied with little additional effort or cost. If the government is about to ease the screws on GPs' incomes to the tune of half a billion dollars, it should make this conditional on them providing the information needed.